Rents an apartment type T2 (30 m2) on the ground floor of a stone building, in a very quiet street. 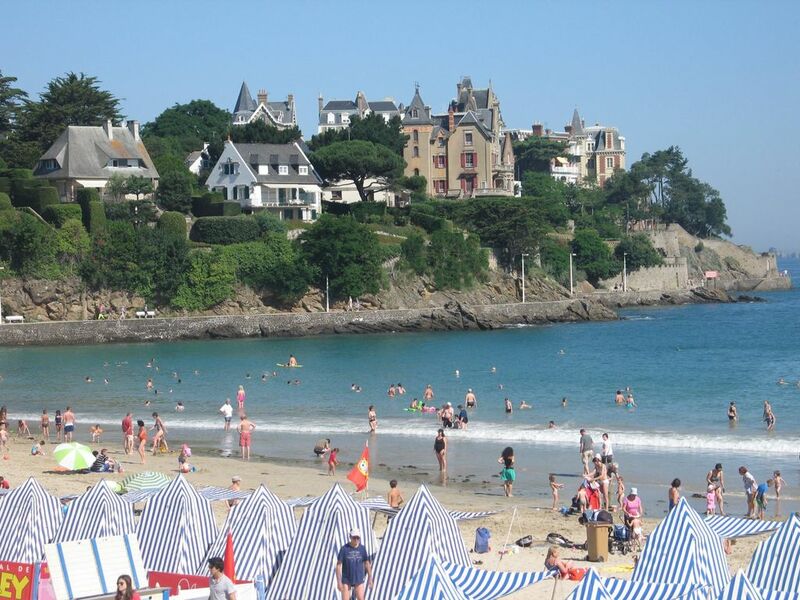 Location: close to the marina and the coastal path, a few minutes walk from the large beach of Dinard, the city center, the market and shops, sailing schools. - a bathroom (electric hot water tank with shower and sink), separate toilet. - Small interior courtyard (south) tiled 10 m2 with table and 4 chairs, umbrella. Weekly rental Saturday to Saturday (380 to 450 euros / week (charges included) depending on the period. Merci pour votre avis. Au plaisir de vous revoir une prochaine fois. Concernant les draps, merci pour la remarque et désolé pour cette confusion. A l'avenir nous préciserons que nous ne les fournissons pas.